With several films featuring gun violence up for Academy Awards, does Hollywood have a hypocrisy problem? Hollywood isn't shy about using its voice, especially after mass shootings in Isla Vista and San Bernardino — but there is another side of Hollywood that makes reckless gun violence a big attraction at the cinema. Entertainment has never been shown to cause any shootings, but there is concern from some that it's glorifying or even normalizing gun violence. We found many celebrities calling for change are themselves involved in violent entertainment. Horrifying scenes not much different from the ones at Columbine or Sandy Hook have been brought to the big screen. After two massacres in Hollywood's own backyard, celebrities are calling for change. 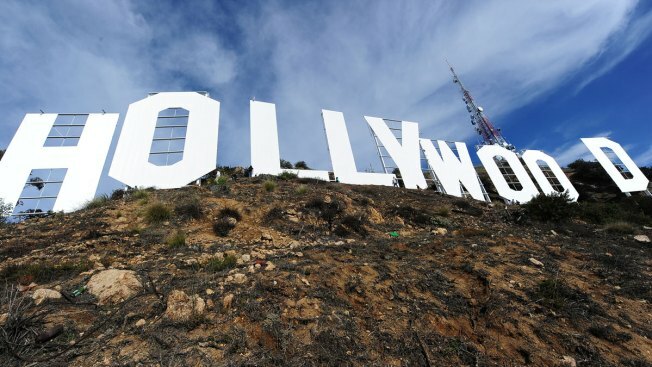 But does Hollywood have any responsibility? One month after the San Bernardino massacre, more than 100 celebrities signed a letter to President Obama. Names signing the letter included Jon Hamm, Jamie Foxx and Liam Neeson saying "We have had enough of seeing unthinkable tragedies happen." But Winter, of the Parents Television Council, sees a problem: 75 percent of the actors signing that list have taken roles in films depicting or glorifying gun violence. “Hollywood is addicted to gun violence because it's so lucrative,” Winter said. He said that proves the entertainment industry can change attitudes about gun violence too. “It's only becoming more frequent and more explicit,” Winter said. A 2013 study published in the American Academy of Pediatrics found gun violence in the movies has more than tripled since 1950. Gun control advocate Donna Finkelstein of the Brady Campaign to Prevent Gun Violence isn't convinced entertainment has any impact on real-world gun deaths. “I don't hear a sense of connection between the media and glorification of guns,” she said. But there’s enough of a concern that President Barack Obama signed an executive action in 2013 directing the Centers for Disease Control and Prevention to investigate "the relationship between … media images, and violence." That study is still ongoing. And what about the celebrities signing that recent letter to the President? Actor Liam Neeson shoots dozens of people in the “Taken” trilogy. In all, we counted 20 films where Neeson brandishes a gun. Jessica Alba signed the letter, though she stars in Machete Kills. Also signing is Will Ferrell, who also appeared in a 2012 celebrity PSA demanding gun laws, alongside other big names including Jamie Foxx and Edward Norton. One of entertainment's most powerful voices acknowledged the issue in 2014. "I can't make one movie and say this is what I want for my kids and then just go out and be a hypocrite,” he told CNN’s Piers Morgan. The National Rifle Association acknowledged NBC4’s request for comment on this story, but did not provide a comment. Winter hopes some celebrities who signed that list will pledge to stop taking such violent roles. “You can't celebrate the good that you do without also being accountable for the harm that you do,” he said. NBC4 reached out to all of the actors named in the story, as well as the Directors Guild of America and the Screen Actors Guild. None of them would comment for this story.